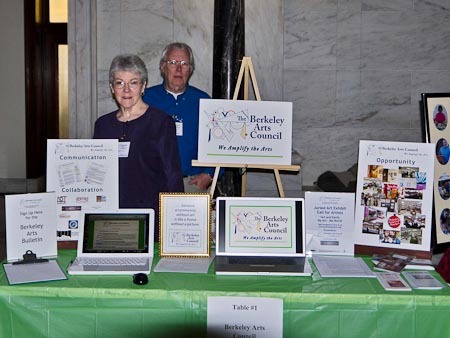 On Thursday, February 24 at 12 noon the Berkeley Arts Council has been invited to speak to the Berkeley County Council about a request that they designate March 19 as Arts Appreciation Day, supporting our Arts Expo event at the Mall that day. If you can spare a little time, just being at the Council session helps show that you care about the Arts in our county. We need to let others know that the Arts deserve attention! Pass this on to your FB friends as well. The Council meets in the Dunn Bldg., 400 W. Stephen St., Martinsburg. Allow time to park. Martinsburg Mall on Saturday, March 19. Arts Expo will be a day of arts demonstrations, exhibits, and performances with opportunities for artists and non-profit arts organizations to participate. Since March is National Youth Art Month, activities focus especially on encouraging Mall visitors to discover their own creativity. A group of mini-workshops will offer youngsters—and adults—a chance to see how local artists actually produce their work. Activities will include painting, pottery, photography, basketry, marquetry, carving and music. Fifteen artists are participating. Nonprofit arts organizations will describe their activities and welcome interested neighbors. Other opportunities include The Berkeley County Strings ‘instrument petting zoo’ and Musselman High School drama students will be on stage with selections from their current productions. 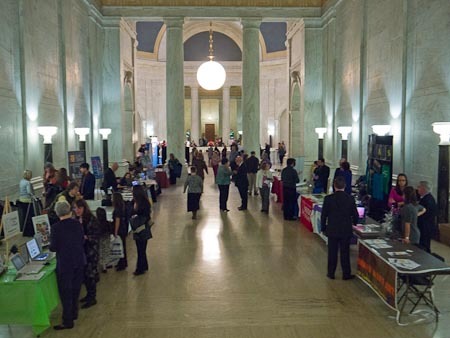 The Arts Expo program is presented with financial assistance from the WV Division of Culture and History, and the National Endowment for the Arts, with approval from the WV Commission on the Arts. More details on the event including information about artists exhibit and sales opportunites and organizational information booths is on the Berkeley Arts Council Web Site. Only six days to the February 15 postmark deadline! Martinsburg’s City Club luncheon on Wednesday, February 16 will feature a report on progress in the local arts community, including breaking news about Berkeley Arts Council projects scheduled for the coming months. A continuation of an ongoing series of presentations to the informal noontime gatherings, this month’s speakers will recap the activities of the arts organization, which was founded partly in response to past City Club programs. Presenters include Rip Smith and Malinda Shaver, who took action to create an arts council for Berkeley County with the mission of supporting artists and arts organizations. “We felt that a networking effort would help take advantage of the strong resources we already have, plus create more momentum and influence,” said Shaver. The Berkeley Arts Council’s mission includes expanding communication and awareness about local arts resources, and making all arts available and accessible to area residents. The monthly City Club gatherings are open to interested members of the community. Hosted at The MacFarland House, cost for luncheon is $11 if reserved by Feb. 14; or $13 if not reserved. Send email to contact@mrbcc.org.